In a large saucepan, cook the laksa paste for 1-2 mins until it becomes fragrant. Add the turkey meat and noodles bring up to a simmer again. Stir with a fork to break up the noodles. Remove from the heat and stir in the Yeogurt. 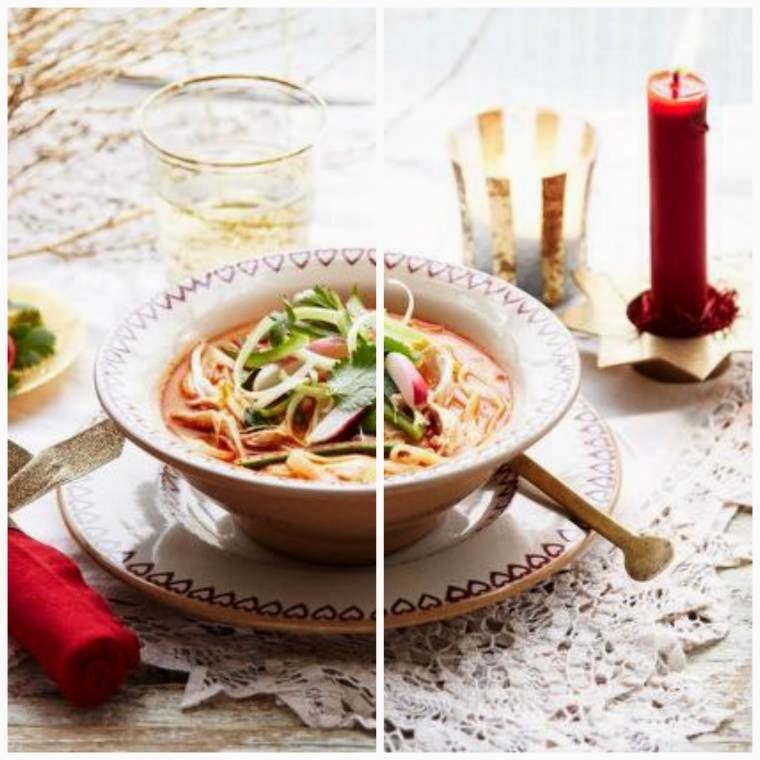 Divide the bean sprouts between two bowls, ladel over the Laksa and top with the cucumber, spring onion, radish and coriander leaves. * This dish works well with chicken or prawns too. * If you can’t find Laksa paste use Thai Red Curry paste instead. "Christmas Pudding Sundae: Great For Leftover Pudding"